The holiday season is fast approaching. Your gift list is piling up and your wallet is getting tighter. Wouldn’t it be nice to make a little extra cash for all those Christmas gifts you need to buy? 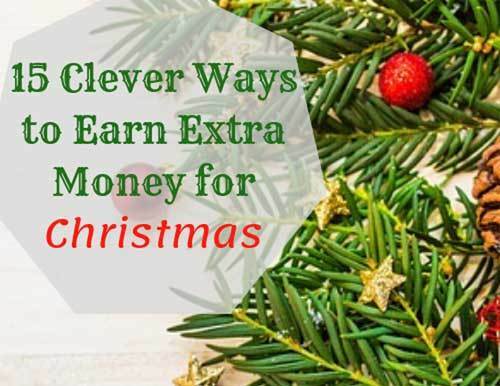 I’ve created a detailed list of the best ways to earn extra money fast for this holiday season. Sign up with Lyft or Uber and make your own schedule. Driving for Lyft and Uber is probably the fastest way to generate some extra money for holiday shopping. You just need to have your own vehicle and you can set your schedule to drive as frequently as you would like. If you have a spare bedroom in your apartment or house, its easy to list your room on Airbnb. It does take a little bit of time to take pictures and stage your room properly in order to attract interest. However, once you have everything setup, it’s easy to list your room for as many or as few days during the month as you prefer. If you would rather not drive people around in your car, you could always just let them rent your car. Turo makes it very easy to rent your car whenever you don’t need to use it. It’s up to you how often and how frequent you would like your car to be available for rent. Turo fully insures your vehicle for up to $1 million, so you don’t have to worry about damage to your car while it’s being rented. You just need to spend some time taking a few pictures of your car and you’re all set to go. Instacart offers a really nice grocery delivery service. If you have some extra time, it’s easy to sign up to become a grocery shopper. This is a really easy way to earn some extra money and set your schedule in the process. Food delivery services are very popular in large cities and neighboring suburbs. Ubereats works just like Uber except all you need to do is pickup food and deliver it to the person that ordered the food. 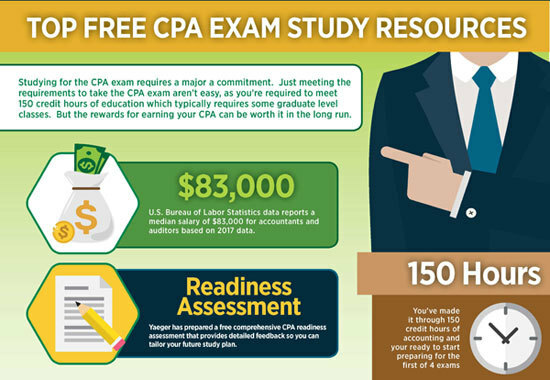 This is an easy way to keep a flexible schedule and earn money in the process. If you already like dogs and enjoy being outside, doing some extra dog walking could be an easy way to make extra money during Christmas. Rover offers an easy platform to advertise your services and pickup a few extra customers in your neighborhood. Task Rabbit is an easy way to make some extra money on the side helping people with chores around their house. Just setup a profile picture and list the types of chores you would be interest in completing and people will contact your directly through the app. Many people use their credit cards to purchase gifts during Christmas. Credit cards and convenient and easy. The problem is that after the holidays, many people find that they can’t pay off their credit cards right away and incur very high interest costs. Rather than pay extra high interest credit card costs, you could use a small personal loan from Lending Club to refinance your high interest credit card debt with a lower cost personal loan. Lending Club and other peer to peer lenders offer a crowd sourced platform that allows for very fast approvals and much lower interest rates than credit cards. Alternatively, if you have extra money, you can also lend out your money to other borrowers and receive a more favorable interest rate than a savings account. Since you’re already going to be shopping for gifts, why not earn some extra cash back from that shopping? Using Ebates is a simple way to get cash back from nearly every major online store you could think of. Ebates works with Target, Best Buy, Amazon, Walmart, and nearly every other store you can imagine. Ebates typically offers a 2% to 10% cash back rebate. However, during the holidays, Ebates frequently increases this amount for one day promotions. Just remember to check their web site before you purchase anything online to check what the store’s rebate is. The other nice thing about Ebates is that you can even get cash back when you shop in certain stores in person. Just check the Ebates app and signup in advance for those stores before you complete your shopping. Ibotta offers an easy to use app that provides an update list of available manufacturer rebates for all kinds of grocery and household items. All you need to do is spend a few minutes before your next shopping trip and check for the available rebates for items that you might be purchasing. To redeem your rebates, just keep a copy of your receipt and take a picture to upload it to Ibotta’s app. In some cases, you can just directly link your store loyalty card to Ibotta and your purchases will be instantly linked to your Ibotta account. Just make sure you save items first in Ibotta before you purchase them. Everyone recieves giftcards as presents during Christmas. Sometimes you get lucky and the giftcards are with a retailer than you plan to use. In other cases, the giftcard might be with a retailer than you know you won’t be using. Instead of throwing away your giftcard or just losing it, you can always sell it online for instant cash. Just list your giftcard on Raise and when someone purchases it, you will receive cash for your giftcard. We all have various items lying around the house that are just collecting dust. Rather than leave those items lying around, you can always sell them on Ebay or with a unique service like Declutter. All you need to do is scan the barcode of your items with your phone through the Declutter app. The app will give you an instant estimate of the value of your items and you can just ship them straight to Declutter. Simple and efficient! If you want to keep your items, you could always temporarily rent them to other people for some extra cash. Fat Llama has a really unique marketplace where you can list anything you can image. You just list your items with a picture, description and a daily rental price. People browse through the marketplace and will contact you about renting your items. You just arrange a time to exchange your items. Your rental payments will be electronically sent to you within 3 days of pickup. If you have some spare time during the day, it’s easy to use Swagbucks and make some extra cash right from your phone. You have a choice of getting paid for the following activities: online shopping, surveys, watching videos, and even just surfing the web. Since these are activities that you’re already doing everyday, why not get paid for doing them as well? If you have skills as a graphic designer or even as an article writer, you can setup a profile on Fiverr and start accepting payment for your services. Fiverr has a global platform, so it’s easy to generate interest for your services from all over the world. You can design your own schedule and accept or reject work proposals as frequently as your schedule allows.